I have returned to my website blog after an embarrassingly long radio silence, mainly due to so much happening, I haven't had time to process it!
" Life Story. A Life Under Lights" is a graphic memoir. Up till now I've been telling the stories of women more famous and notorious than I. Part of an actress's default makeup is to live the lives of others and escape your own, and I was no less guilty of that in my choice of subjects for comics storytelling. But the thing that I noticed in what I found appealing in the stories that I had read to date in graphic novels, were the ones that were on the autobiographical side. The lives were not necessarily dramatic or heroic but the insights resonated and the creative journey ( I think now of Eddie Campbell's "Alec. The Life of the Artist") is always a compelling one. 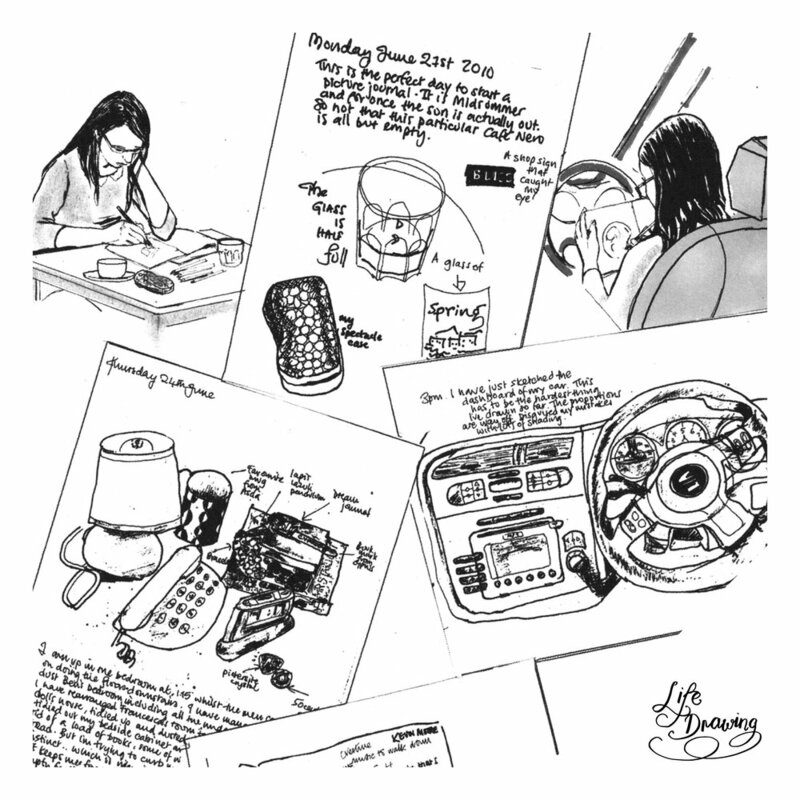 In fact my first comic strips "Wishful Inking" were about my everyday life. But I knew I was at a time in my life where I'm looking back of what I have and haven't achieved, what I've learnt etc. And I know that I am reaching out to an audience comprised of people who might be on a quest for creative self expression too. I think comics and graphic novels act as a form of poetry. They can access emotion and convey layers of information in just a few words and the appropriate imagery. My story is about dreams coming true, dreams falling apart and new ways to dream. It is many stories. Other peoples' whose lives have touched my own. My Singaporean father arriving in London to seek fame and fortune as a jazz musician in Soho. My Irish mother escaping her parochial roots, attracted to the exoticism and excitement of Fifties London. It's about how culture can enhance at even the base level of life. 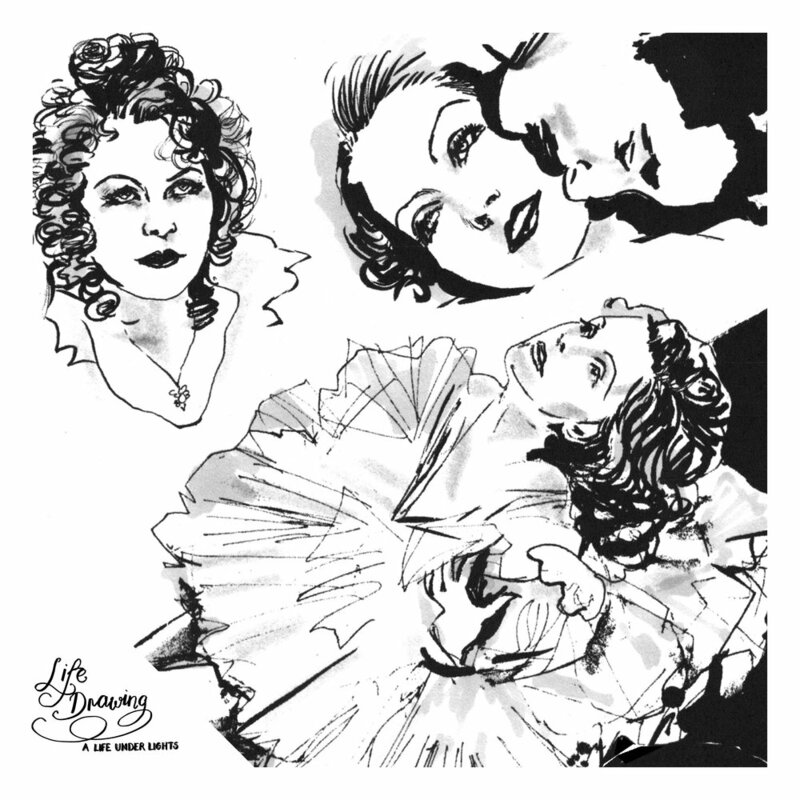 The tv documentary about Garbo I watched as a child, inspired a lifelong love of classic film, art and acting. It's about being unorthodox to make things happen. The added responsibility that comes with writing an autobiography can be so onerous that at times, you even think...am I at best, brave enough or at worst, insensitive enough to carry this through? In my case, I'm thinking about my family's feelings. What do I share? How much do I reveal? What is just pure self serving sensationalism? My father passed away twenty years ago and we had a challenging relationship. But I loved him as he did me, and part of doing his book was to commemorate his talent and service to entertainment, his chosen art form and legacy to his descendants. My Mum is still with us and I want to be honest about the hardships she endured without embarrassing her. Crowdfunding a novel would not be mine or many authors first choice of means to publication. We'd all love to have a bidding war, a six figure advance and an instant audience to buy and love our work. But now first hand experience at self publishing and independent publishing has given me a realistic view of how this whole thing works. Kickstarter could have been an option but then I would still have to market and distribute the book myself or go pitch to a publisher once the book was funded with no guarantees that things would happen straight away. What attracted me to Unbound was that here was a sort of "Here's the Golden Fleece ( publishing deal, marketing and distribution taken care of) and now your challenges are to get the funding by whatever means you can." One of the things I've learnt is that marketing cannot be left till after the book has happened. It's good to start banging the drum and letting people know in advance so you can get a feel for how the book is going to go. My crowdfunding campaign is as much about gauging a response as it is about raising the target money. Unbound authors are encouraged to post regular updates and keep their readers apprised of what's happening, milestones reached etc. It also keeps the author on their toes. Everyday I wake, I literally ask myself " Why the story? What's the story." Trepidation doesn't even cover it! I lost my crowdfunding virginity last week and it was like being a kid standing at the edge of the diving board... crying with panic. It took half of the first day drafting a personal message and then reading about three articles on motivational exhortation before I channelled my inner Mormon and got knocking on the doors. It dredged up all manner of childhood insecurities about being rejected, not being liked, fear of losing friends because I'd tapped them for money...do you want me to go on?! But, overall the response has been a rather beautiful and overwhelming demonstration of loyalty won through the work I have done to date, yes, I'll admit, my Doctor Who legacy has been helpful, extreme generosity from unexpected 'angels' together with the standard and understandable, "No, can't help at this time but wish you well" and quite a few no responses....which may turn into positive responses later in the campaign. What emboldens me now is that I think, yes a lot of people may feel uncomfortable that I've asked, they may think, "Why should I donate to something that isn't an investment or a charity?" but I've had people say to me that I've inspired them and that creative work does make a difference. So I'm switching the mute button on self doubt and carrying on. When I finish the book, I hope all my supporters will feel proud they kept the faith.